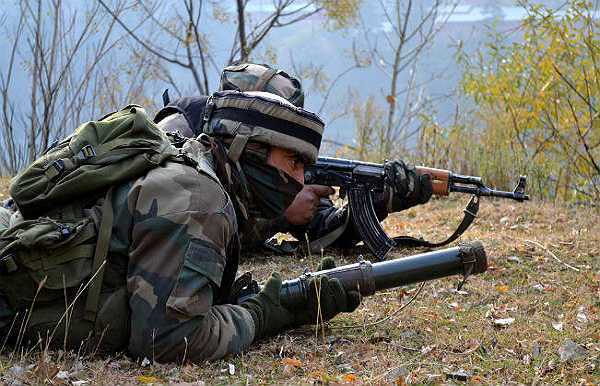 Baramulla: Two local militants of Lashkar-e-Toiba (LeT) were killed on Thursday by security forces in an encounter in apple township of Sopore in this north Kashmir district, official sources said. Mobile internet service remained suspended as a precautionary measure to prevent spread of rumours since yesterday afternoon when the operation was launched. Acting on a tip-off about the presence of militants, troops of Army, Special Operation Group (SOG) of Jammu and Kashmir police and CRPF launched a joint search operation at Brath, Kalan Sopore, in Baramulla on Wednesday afternoon. Sources told UNI that with the first light this morning, security forces resumed cordon and search operation at Gund Brath Kalan, Sopore in this north Kashmir district. The operation was suspended last night to avoid any causalities due to darkness though security forces remained deployed to prevent any militant attempt to escape from the cordoned off area despite chilly weather conditions. However, when the security forces were moving towards a particular house in the area, the militants hiding there opened fire with automatic weapons. Security forces also retaliated and in the encounter, two militants were killed, they said. The slain militants were identified as Owais Bhat and Tahir Ahmad Dar.A police spokesman has appealed to people not to go near the encounter site as security forces were busy to remove any unexploded shell or material.